Exclusives There are 8 products. 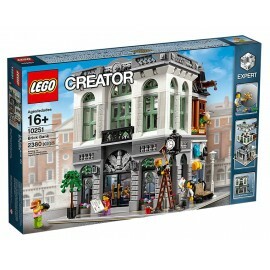 Enter the grand foyer of the Brick Bank, featuring a wealth of unsurpassed details, unique elements, functions and surprises. 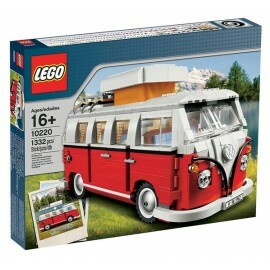 Includes 5 minifigures. Build a grand premiere at the Palace Cinema! Watch the big premiere at the Palace Cinema, a 2-story collectible with detailed lobby, big screen theater and 6 reclining minifigure seats! Cruise in psychedelic style with this classic 1962 Volkswagen Camper Van, featuring iconic 'splittie' safari windshield and pop-up roof! Blast back to 1962 and cruise into psychedelic style! 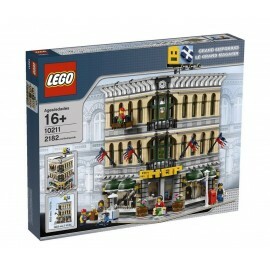 Expand your LEGO® Modular Buildings series collection with this 3-story Pet Shop, features spiral staircase, loft, balcony and rooftop garden! 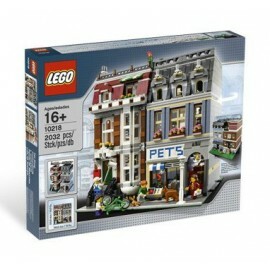 Build a pad for pampered pets in a 3-story shop with style! 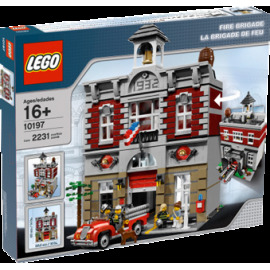 TEMPORARILY OUT OF STOCK Build a fully furnished, vintage fire station with highly detailed ‘30s-style fire truck, working garage door, rare LEGO® elements and more! 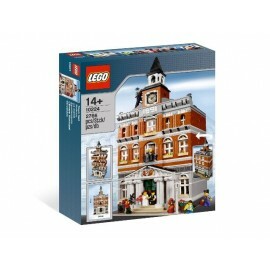 Build an authentic vintage fire station! 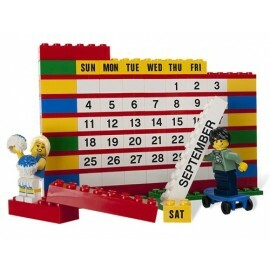 TEMPORARILY OUT OF STOCK Take your LEGO® town to the next level with a 3-story Town Hall packed with realistic details in another amazing Modular Building series set! Keep the wheels of commerce turning with the authentic Town Hall! Enter the Grand Emporium, a spectacularly detailed, 3-story department store, designed in a realistic scale with rare pieces! Welcome to the grand opening of the Grand Emporium!